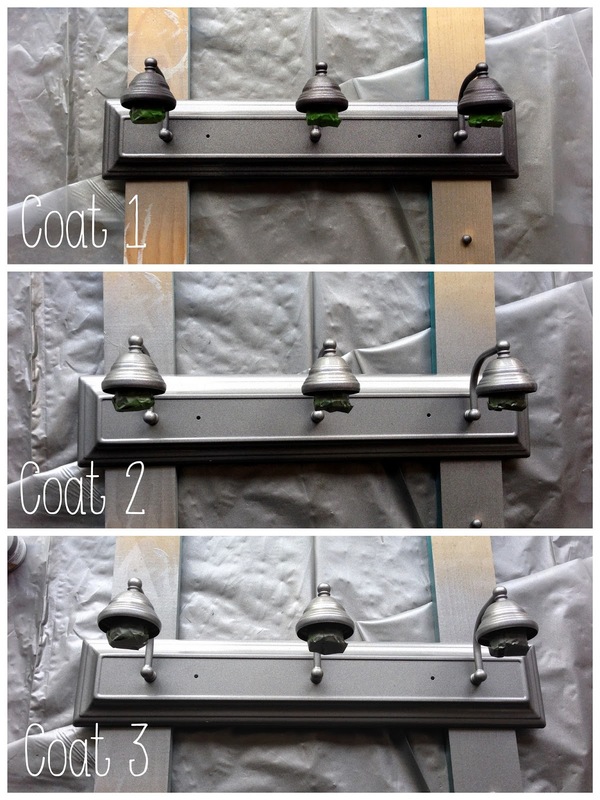 I'm back today to share a quick and easy update I made on our bathroom lighting situation. The lighting was something that had been replaced in phase 1 of the bathroom update a few years ago, the fixture was a great find at around $40. Really who can complain, it has nice lines, an oil rubbed bronze finish all for a relatively cheap price point. But due to the new lighter airier colors that were going in the bathroom I just wasn't so sure that oil rubbed bronze was the right fit for the room. 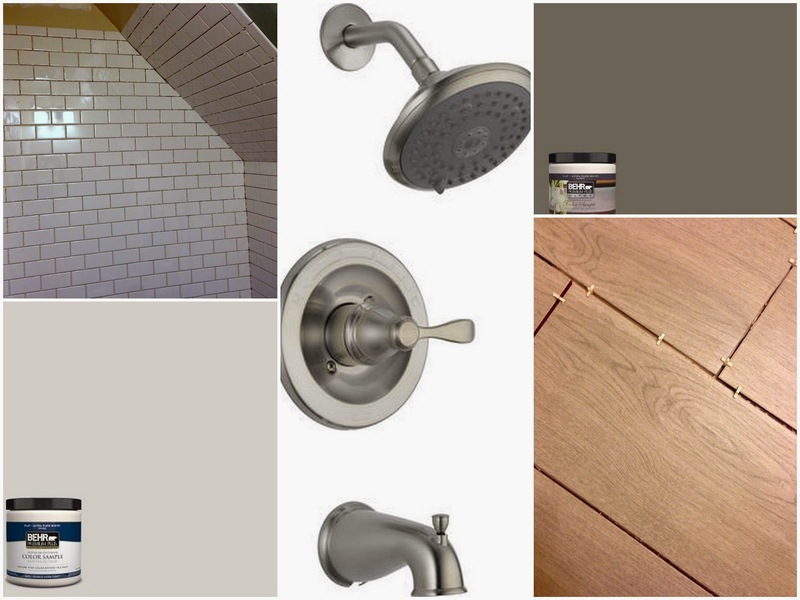 I have already gone with brushed nickel for the shower hardware, so I was thinking that would be the best choice for the rest of the fixtures as well. 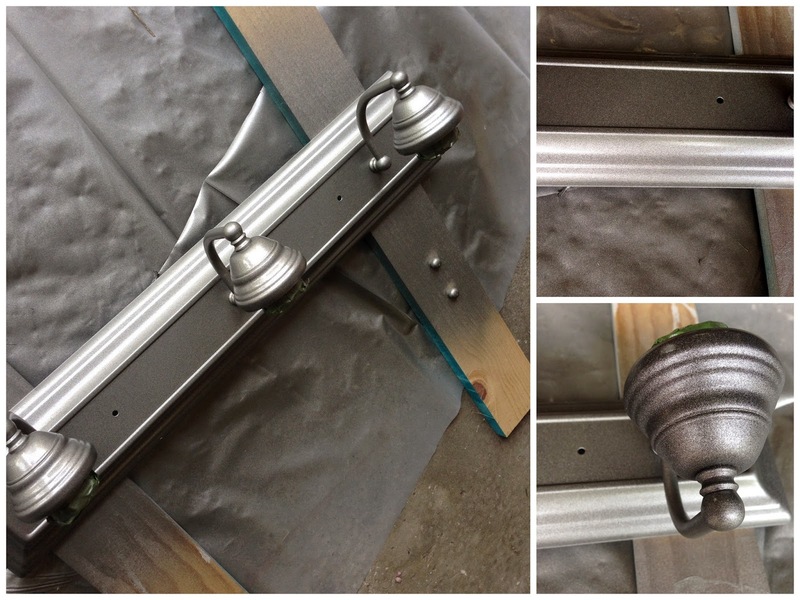 Since the light was relatively new, and in great condition, I choose to shell out $6 for a can of spray paint, versus $40+ for a new light fixture. Worse case scenario, I'd have to buy a new light fixture - I figured it couldn't hurt to give it a try. I took my light fixture down, after switching off the power of course. It was easy, just a few screws to undo and a few wires to unattach. Then it went out to the garage to receive it's brushed nickel look. 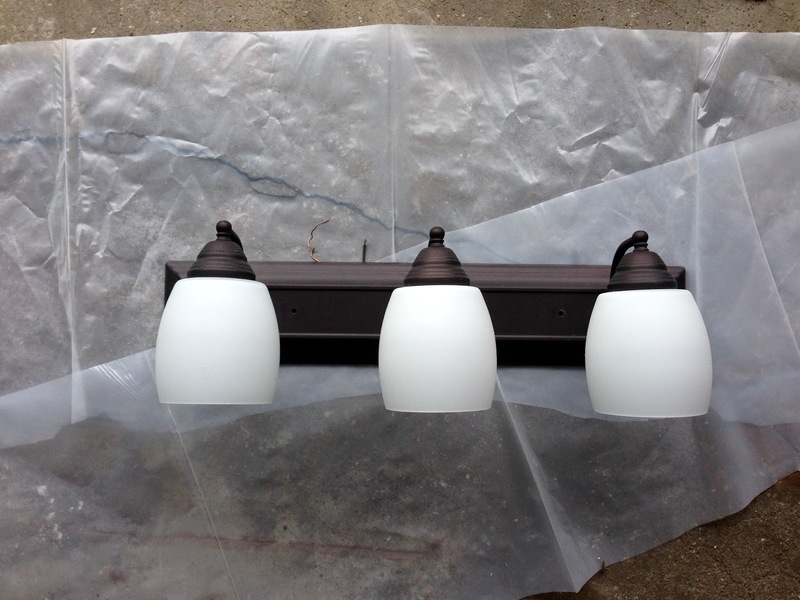 I removed the glass shades and taped off the electrical sockets so they would be protected from the spray paint. I keep a few pieces of scrap wood around the prop up anything that I am spray painting, I think it makes it a little bit easier to get full clean coverage on the sides. 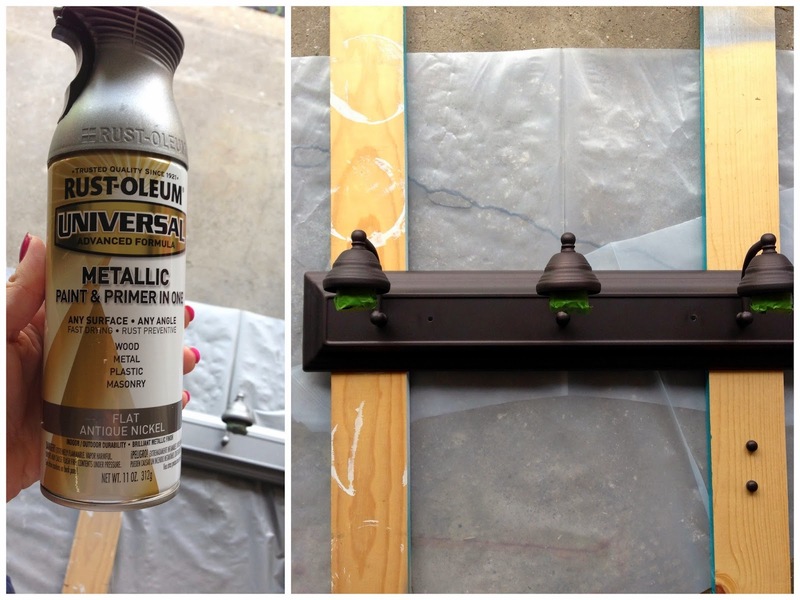 The key with spray paint is always multiple thin and even coats. That way you avoid drips and puddles and come out with a nice smooth finish. The good thing is you don't have to wait long between coats, so it really Don't take that long to do. Ta da, a new light in a matter of minutes, awesome! I have to admit I was a little skeptical at first as to how it would turn out looking, I was afraid that it was just going to look to much like I just painted it. It looks like it could have come that way, just what I wanted. I can't wait to get the room painted this weekend and get the 'new' light back up on the wall, I think it's going to look nice with the paint color I've selected. Spray paint to the rescue yet again. It's miraculous what that stuff can do. Looks great! Thanks Karly, gotta love the spray paint-it's amazing!